R2 passes ball into R1's path. R2 passes to R4 and R3 and R4 repeat in opposite direction. 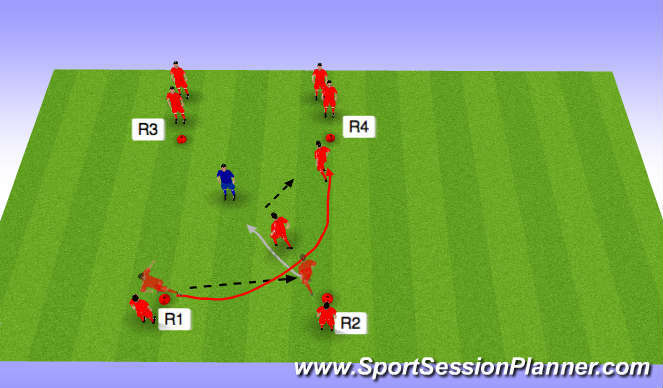 Variation: R2 starts with the ball and the same pattern but in the opposite direction.